On top of being an excellent source of revenue for the city, parking tickets are a fantastic way to completely ruin any New Yorker's day -- provided they don't ride the MTA, in which case that day was ruined anyway. If you plan to fight a ticket, though, you should probably know there's a new app called WinIt that'll take on the city in your place. Here's how it works: you take a photo of your ticket and submit it through the app, whereupon WinIt's experts review the charge and schedule a hearing to contest it, updating you via email throughout the process. If the hearing's successful, you pay WinIt 50% of whatever the ticket cost would've been -- if you lose, you simply pay the fine as you normally do, and you don't owe WinIt anything. Sounds too good to be true, right? 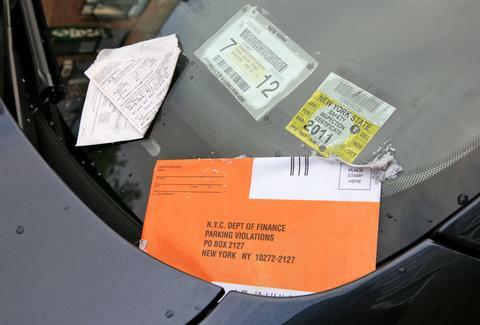 WinIt's ticket-fighting abilities are owed to its partnership with Empire Commercial Services, a company whose experts claim to have saved business clients more than $250 million in successfully defeated parking tickets. As for the app itself, WinIt says its users have beaten 300 tickets since its launch in March -- a 50% success rate. Of course, that's a small sample size, so those numbers may not hold up. Another ticket-fighting app based in LA, Fixed, boasts a meager 20% success rate, compared to 28% success rate when going it alone. If WinIt's rates hold, then it'll be a success. But that remains to be seen. Either way, you're paying for convenience -- and have nothing to lose. If you fancy taking your chances alone, though, you can actually request an online hearing through the department of finance and avoid the hassle of having to fight the ticket in person. Welcome to 2015!